A parliamentary report of 1777 recorded that Bolton by Bowland had a workhouse for up to 10 inmates. In about 1790, new premises were occupied at Holden, which were altered in 1830. A workhouse was also erected by Aighton in about 1817. County of Lancaster: Aighton Bailey and Chaigley, Chatburn, Chipping, Clitheroe (3), Downham, Little Bowland with Leagram, Mearley, Pendleton, Thornley with Wheatley, Twiston, Whalley, Wiswell, Worston. West Riding of Yorkshire: Bashall Eaves, Bolton by Bowland, High Bowland Forest, Low Bowland Forest, Easington, Gisburn, Gisburn Forest, [Great] Mitton, Grindleton, Horton, Midhope [Middop], Newsholme, Newton, Paythorne, Rimington, Sawley, Slaidburn, Waddington, West Bradford. The population falling within the Union at the 1831 census had been 23,168 with parishes ranging in size from Midhope (population 62) to Clitheroe itself (5,213). 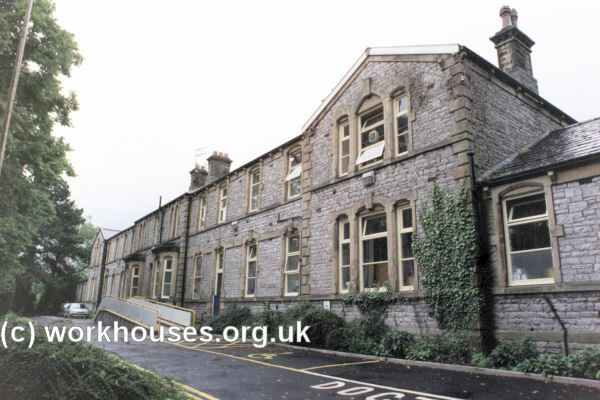 For many years, Clitheroe Union resisted the building of a new workhouse and made use of the existing Aighton and Bolton by Bowland workhouses. These premises originally comprised a "manufactory" (hand-loom weaving), a "farm" and a "poor house". The weaving has been discontinued; the farm, barn, stables &c., let off, and the remainder of the building is now used as a workhouse for certain classes of poor of the union. 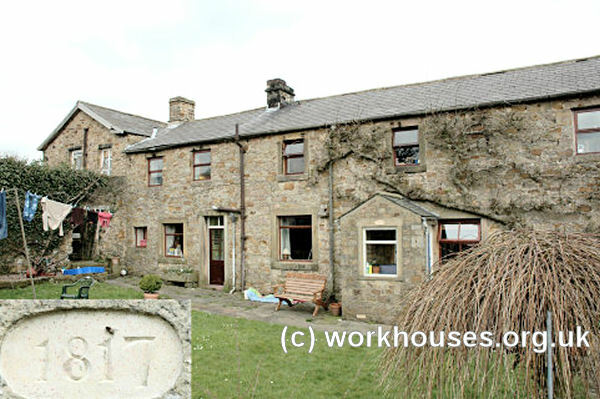 The "barn" is still connected with the workhouse premises by the "dead-house" and the receiving wards, and the farmer resides under the same roof as the master and matron. Because of its remote location, the Aighton workhouse was only inspected by the Guardians' Visiting Committee once a year rather than the usual once a week. The inmates appear to be clean, well fed, and generally contented with their condition. Holden (Bolton by Bowland) workhouse site, 1850. Conditions were little better for the Board of Guardians. Their board room in Clitheroe, which was located above some stables and cow-sheds, was described by the inspector as the most incommodious and uncomfortable he had ever visited. The waiting-room for relief applicants was a cellar accessed by some "ruinous" stone steps which became awash with water in wet weather. The Board of Guardians apparently took heed of these criticisms and the Poor Law Board's annual report for 1870 records that "two small and ill-constructed buildings hired by the [Clitheroe] Board of Guardians were closed on 25th March 1870. The Board of Guardians has consented to build a new workhouse for 150." 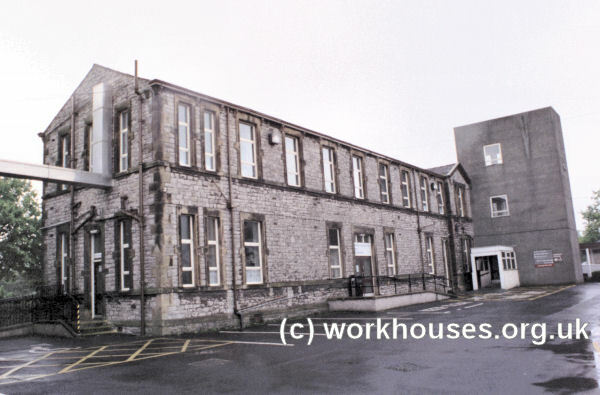 The new workhouse, for 200 inmates, together with a 36-bed hospital, was erected in 1870-73 at the south side of Chatburn Road in Clitheroe. The building was designed by Jonas J Bradshaw and was officially opened on 21st April, 1873. The site location and layout can be seen on the 1912 map below. The main block was 225 feet long and faced to the north-west. It was two storeys high and had three projecting wings at the rear. Clitheroe main block from the west, 2001. Various single-storey workshop and utility blocks lay to the rear of the main building. Clitheroe from the south-east, 2001. The hospital block was located at the south of the main building. Clitheroe hospital block from the north-east, 2001. After 1930, the workhouse site became Coplow View Public Assistance Infirmary. After 1948, it became part of the National Health Service, most recently as Clitheroe Community Hospital. In 2014, the hosptal moved to new premises on an adjacent site and the workhouse buildings were demolished in 2018. Lancashire Record Office, Bow Lane, Preston, Lancashire, PR1 2RE. Holdings include: Guardians' minutes (1837-1902, 1905-30); Births (1867-1913); Deaths (1866-1914); Creed register (1914-34); Register of mechanical restraint (1901-48); etc.